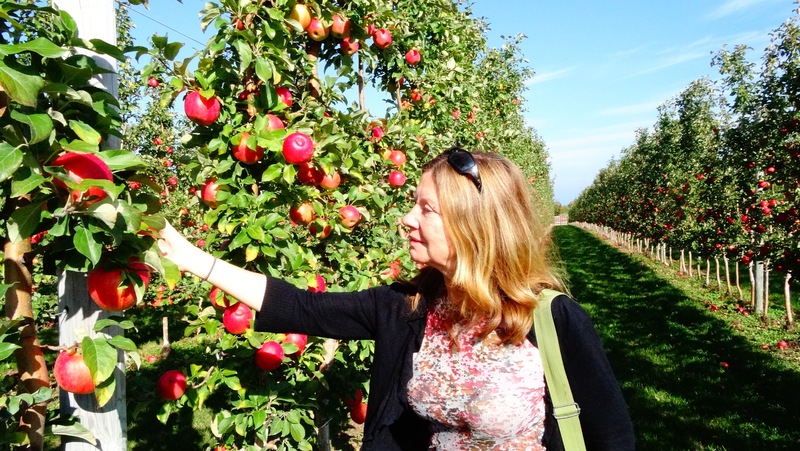 APPLE OF MY EYE: Come October, from Creemore to Meaford, the shiny red fruit is ripe for the picking. Posted on October 13, 2016 | Comments Off on APPLE OF MY EYE: Come October, from Creemore to Meaford, the shiny red fruit is ripe for the picking. There is nothing more glorious than a colourful fall day in the country. I know this because I recently took a trip to the south shore of Georgian Bay and into the Beaver Valley. 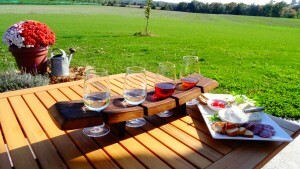 We were following the Apple Pie Trail, visiting orchards, kayaking, imbibing local brews and noshing on fabulous, locally produced fare. My parents once owned a farm in this area and nostalgia rushed in as we drove the country roads and gazed at the fiery fall foliage. My yearning for remembered walks through forest and fields and was fierce. Following is a little overview of my apple-y adventure. “My mom was famous for her apple pies,” explained Bob Giffen at Giffen’s Country Market, just outside Creemore. His wife Mary decided to enlarge their orchard market and now you can stop in for a fresh slice of delicious, crumbly pie. I started out with the butternut squash soup which was silky and flavourful. After lunch, Bob took us on a wagon ride to see the orchard. “Our family started the farm in 1939. We have 130 acres of apple orchard and we pack and ship the fruit to local stores including Sobey’s, Foodland and Food Basics,” he told me. 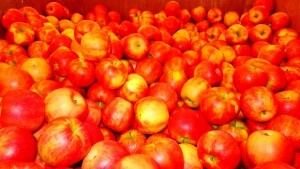 McIntosh, Empire, Spartan, Honey Crisp, Gala, Crispin and Ginger Gold can be found in the orchard. The family also started making cider a year ago which is $12 for three liters. Sold in tetra pak boxes, it lasts up to three months after opening. The market is open year round since after picking, the apples are stored in oxygen-free rooms that are kept at 38 degrees F. “Oxygen causes ripening, so without it our apples remain fresh. When we bring them out it’s like they are right off the tree, explained Laura, Bob’s niece who is in charge of the operation’s marketing. 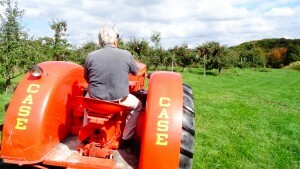 Bob Giffen checks out the orchard on a classic 1954 Case tractor. Side Launch Brewing Company in Collingwood was named Brewery of the Year at this year’s Canadian Brewing Awards. And rightly so. Their beer was delicious. I am not a wheat beer fan but what I tasted there was outstanding. What tickled my tongue were flavours of bananas, cloves and a touch of lemon. Yum! 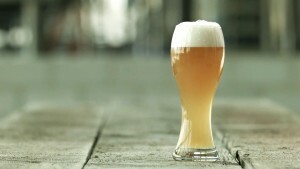 Apparently brewer and co-owner Michael Hancock owned the now retired Denison’ Brewing Company of Toronto imprint and the wheat beer is a rebrand of the Denison’s version. On the Apple Trail it’s not only about eating and drinking. At Bonnie Dorgelo Jewellery & Paintings you can admire lovely apple paintings and even invest in lovely silver apple pendants. 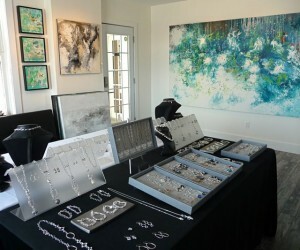 Her shop/gallery is housed in an old school house and has been open since March. Formerly in Collingwood, the new shop is filled with light and if you are lucky you might even run into the artist herself. How do you say spahh? At Scandinave Spa Blue Mountain, with sign language, since there is no talking. It’s a good thing. Moving from steaming pool to frigid plunge, from sauna to outdoor lounge chair, the Nordic water treatment was absolutely blissful. I felt like a piece of cooked spaghetti after an hour-and-a-half dipping and drying. 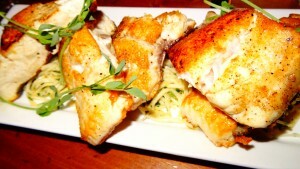 Dinner was at Azzurra in Collingwood. We started with a teaser antipasto plate of pickled beets, pickled beans, prosciutto, olive and dried tomatoes. 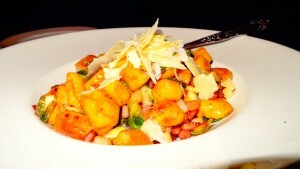 Then came the real highlights – sweet potato gnocchi with caramelized apple, followed by fresh Georgian Bay whitefish and roasted Brussel sprout with smoked bacons. Heavenly. 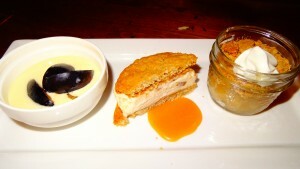 Dessert wasn’t bad either – a sample tray of plum crème anglais, oatmeal cookie with vanilla ice cream and apple crumble. I had no room left after such a feast! 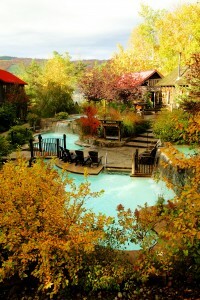 Here’s a shot of the elegant yet rustic Westin Trillium House at Blue Mountain. Sinking into the pillow-top bed, dreams of apples raced through my head. It was a luxurious place to sleep after a hearty day on the trail. Breakfast at the hotel restaurant Oliver & Bonacini? 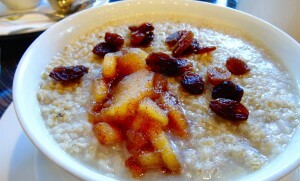 I kept to our theme – oatmeal with cinnamon apples. At T&K Ferri Orchard, I wasn’t sure if I was looking at apple trees or vines. From far away they looked like tall tomato plants. Up close, there were definitely apples. “We use a method that is popular in Italy, where there isn’t much space. It’s called spindling. The main trunk is trained to grow high, the branches are pruned and the fruit is thinned, resulting in fewer but bigger apples,” explained Karen Ferri, adding that this method produces excellent fruit with little spoilage. 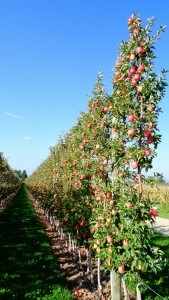 The 22-acre orchard, which uses no chemicals, supplies Pusateri’s and Longo’s with primo specimens. I bought a bag of Cortlands that were as big as my head. 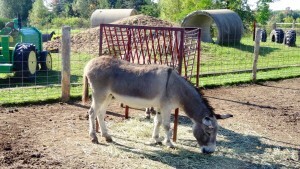 Donkeys, chickens, rabbits and goats greeted us at Farmer’s Pantry, near Clarksburg. 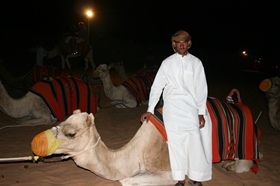 The orchard and petting zoo are big with school groups who come to see the animals, pick apples and cavort on various play structures. 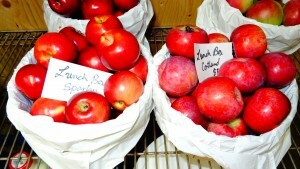 Adults like to peruse the shop, which is filled with produce, pottery and gift items. 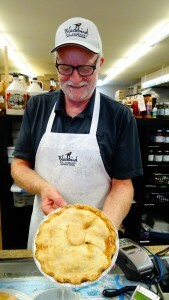 An apple pie that challenged Giffin’s was to be found at Blackbird Pie Co.in the Beaver Valley. Made with Northern Spys, it was gooey and filled with cinnamon. The crust was firm, yet flakey. Hard to say which was better. They also offered an assortment of scones, biscuits, tarts and other fruit pies. Definitely worth a visit. Time to work of the calories! Free Spirit paddling fitted us up with kayaks, paddles and life vests, then launched us on the Beaver River, which was shallow (waist deep) and had a pleasant current running in our direction. 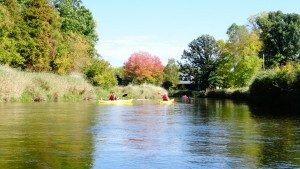 Paddling past farmers’ fields, orchards and bucolic cows, we enjoyed the warm afternoon sun as it lit up the eye-catching fall foliage. Rentals are available from spring through to Thanksgiving and cost $30 per hour. I never thought I’d see a winery in the Beaver Valley since it can get quite cold and snowy in winter, but Georgian Hills Vineyards took up the challenge, found a pocket of temperate micro-climate and came up with some very nice vintages. The 12 acres of vines produce Riesling, Chardonnay, Seyval Blanc and Vidal Blanc and the reds include Gamay Noir, Pinot Noir, and Baco Noir. Their sweet options include some very tasty dessert wines including Ida Red Frozen to the Core and Baked Apple Frozen to the Core. How do you like dem apples? Crunch! 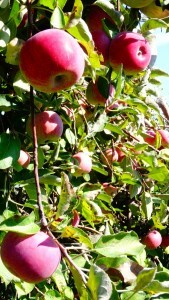 Comments Off on APPLE OF MY EYE: Come October, from Creemore to Meaford, the shiny red fruit is ripe for the picking.